I was reminded of this story tonight, so wanted to throw a short version on my blog where it’s easier for me to find things. The inability to search through text stories on my Ancestry.com tree can be problematic at times. There is information here from the biography of my 10x great-grandfather Alexander Gordon from the book “Fifty New England colonists and five Virginia families” by Florence Black Weiland (1965). There is also information here from Alexander’s Wikipedia Entry, and a few other sources. “The Gordon name is one of the most ancient in Great Britain and is now represented In the Peerage by the Earl of Aberdeen. The family is of Norman origin and dates back to very early times. In 1150 Richard de Gordon, Knight Baronet, granted to the Monks at Kelso, land at Gordon near Huntley Strather. Haddo House is the seat of the Earl of Aberdeen and is in the County of Aberdeenshire in the Highlands of Scotland.” – Weiland, p 105. My 10x great-grandfather Alexander Gordon [an ancestor of my Nason, Cairns, and Forrest lines] was born in the Highlands of Aberdeen, Scotland in 1635. His family was loyal to the cause of the Stuarts, and Alexander became a soldier in the Scottish Army that supported the claim of King Charles II to the throne of England. 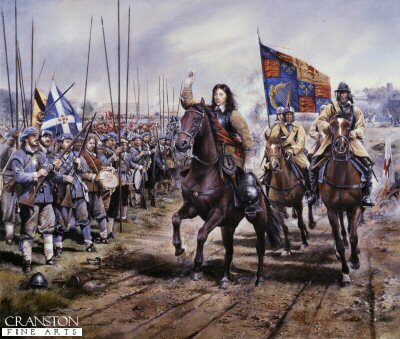 He was taken a prisoner of war by Oliver Cromwell at the battle of Worchester on 3 Sept 1651. Other accounts claim he was captured at the battle of Dunbar exactly one year earlier. In either case, he was released to an American, Captain John Allen of Chartestown, Massachusetts, on the condition that he emigrate to America. In 1651 Alexander was taken aboard the “Liberty”, commanded by the same Capt. 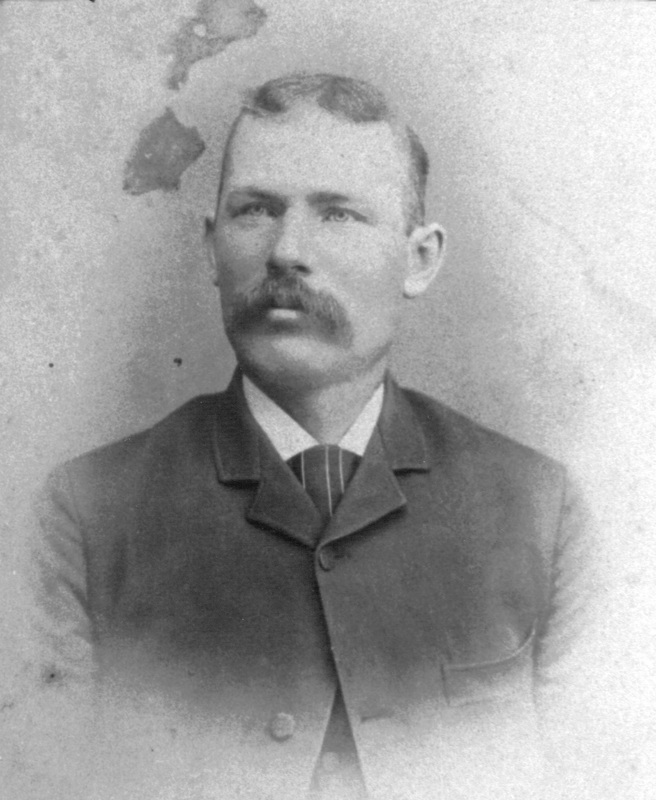 John Allen, to Boston, Massachusetts and was held as a prisoner of war in the city of Watertown, Massachusetts. He stayed with John Cloyes, a boatswain, or mate, on the “Liberty” who lived in Cambridge on the road to Watertown at a place near the site of Cambridge Hospital today. Accounts vary about what happened next. By some accounts Alexander signed an agreement on 25 April 1653 with Samuel Stratton of Watertown to be his apprentice for six years, and to learn the trade of farming. In other accounts he was sold by John Cloyes essentially as a slave to Mr. Stratton. In either case, it was unfortunately true that such “apprentices” were routinely abused by their masters for the purposes of keeping cheap labor. It is generally agreed that Alexander was mistreated by Mr. Stratton. On 23 May 1655, a number of these apprentices, including Alexander, petitioned the General Court of Massachusetts for freedom, but their request was refused. On 3 Nov 1663, Alexander appealed again to the court in Massachusetts and was finally released from his contract. His six-year contract with Samuel Stratton ended on paper in 1659, but Alexander had been forced to work for ten years before he won his freedom. Alexander and a number of other Scottish ex-prisoners-of-war made their way to New Hampshire. As early as 1660 Alexander Gordon was at Exeter, the town he helped found, where he was involved in lumbering. He had a saw mill located on Little River at a point about one mile West of Exeter Village. Alexander died on 15 Aug 1697 in Walleigh Falls, Rockingham, New Hampshire. Administration of his estate was granted to his son John Gordon on August 25, 1697. “The Gordon family of Maine and New Hampshire” 1946 by Blanche Gordon Cobb. My great-great grand aunt Helene Johanna Kamrath was born on 29 Jul 1866 near the city of Stettin, Pomerania, Prussia. 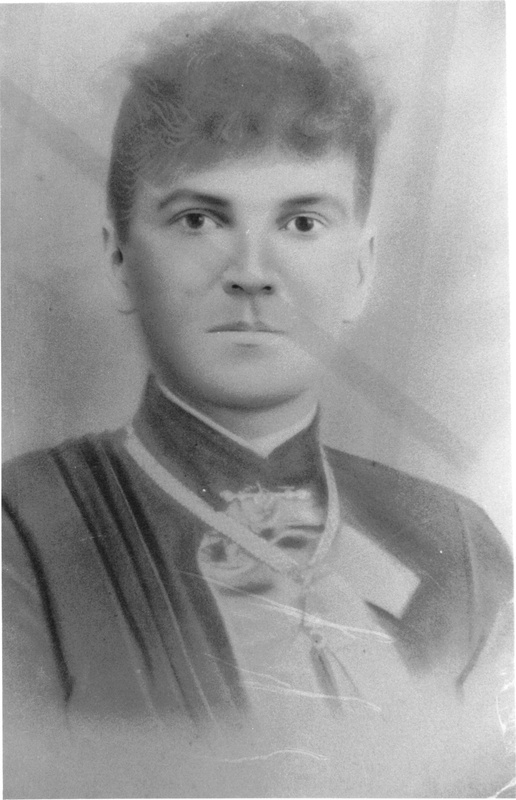 Helene Johanna Kamrath. Courtesy of Kacie Carr. She was the third child of my 3x great-grandfather Carl Kamrath (1831-1900) and the first child Carl had with his second wife Auguste Henriette Sense (1841 – 1892). She completed an 8th grade education in Prussia, then when she was seventeen years old Helene came to the US aboard the “SS Bohemia” with her 15-year-old sister Anne. They left from the port of Hamburg, Germany on 14 October 1883 and arrived in New York harbor on 29 October 1883. Their older sister Auguste had come to America before the two girls, and probably arrived early in 1883 since Auguste married her first husband Simon Wimmer in Grand Rapids, Wisconsin in June of 1883. 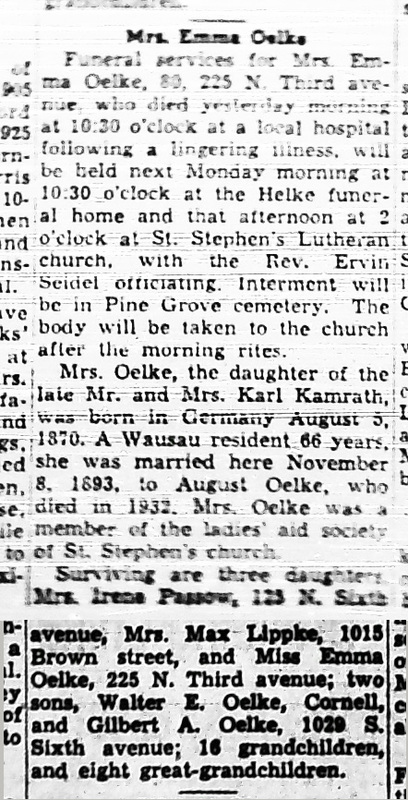 In May of 1885 the rest of the Kamrath family came to Wisconsin to join the three sisters in the US. They arrived on the “SS Hammonia”. 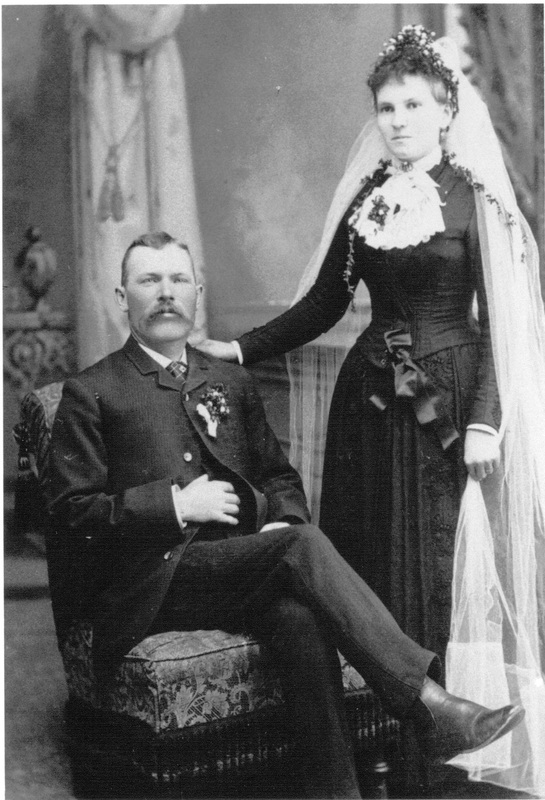 Helene married Johann Tisch (1858 – 1930) on 2 November 1888 in Marathon County, Wisconsin and they settled in the town of Wein in Marathon County, Wisconsin. Wedding Portrait courtesy of Kacie Carr. 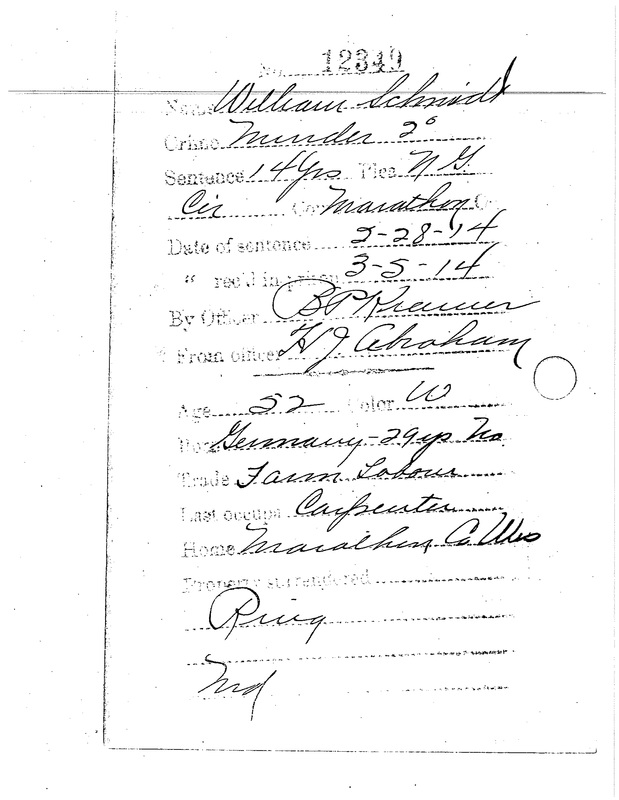 In the 1900 Census for Wein, Johann is listed as a day laborer and Helene is listed as a cook in a lumber company boarding house. She is also listed as the mother of five children, three of whom are alive. 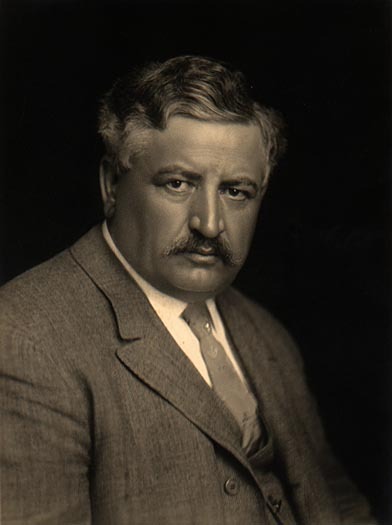 Apart from the two children who died in infancy, the Tisches had six children: Arnold Carl Herman Tisch (1889 – 1919), Alfred Heinrich F Tisch (1892 – 1988), Edwin A Carl Tisch (1897 – 1978), Alexander Johann Tisch (1901 – 1983), Ira Edwin Tisch (1901 – 1995), and Amy E Tisch (1904 – 1981). 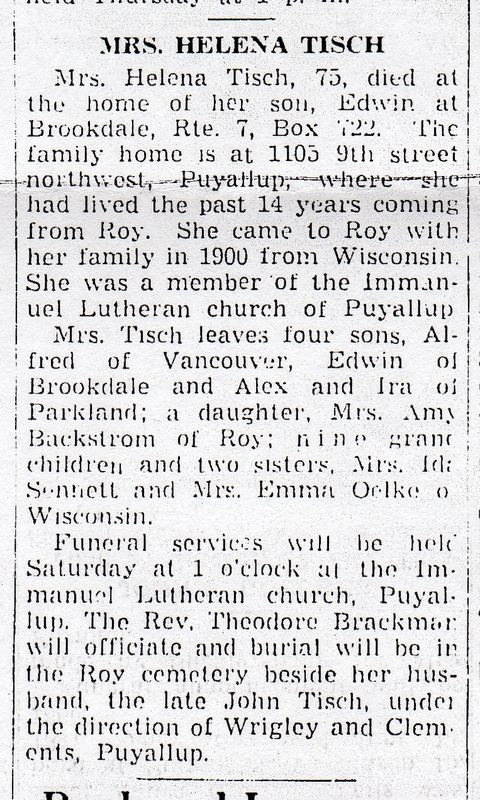 According to her obituary, the Tisch family moved from Wein, Wisconsin to the town of Roy in Pierce County, Washington that same year of 1900. Many Prussian immigrants from Wisconsin who had been working directly or indirectly in the logging and timber industry moved out to Washington state when the forests of Northern Wisconsin began to be depleted. Virgin timber stands in Washington meant new job opportunities for those with experience in the industry. Johann Tisch. Courtesy of Kacie Carr. Once they got to Washington, however, the family seems to have settled into farming. In the 1910 census for Tanwax Precinct [Roy], Washington, Johann is listed as a farmer, and his wife and three oldest children are also listed as working on the family farm. This remained the case, more or less, for the 1920 census for Lacamas Precinct [Roy], Washington. Helene’s sister Auguste had moved to Roy in 1890 and in the 1920 census the two families appear on the same page of the report, so it’s probable that Helene wanting to be near her sister was a factor in the Tisch family decision to move to Washington state. 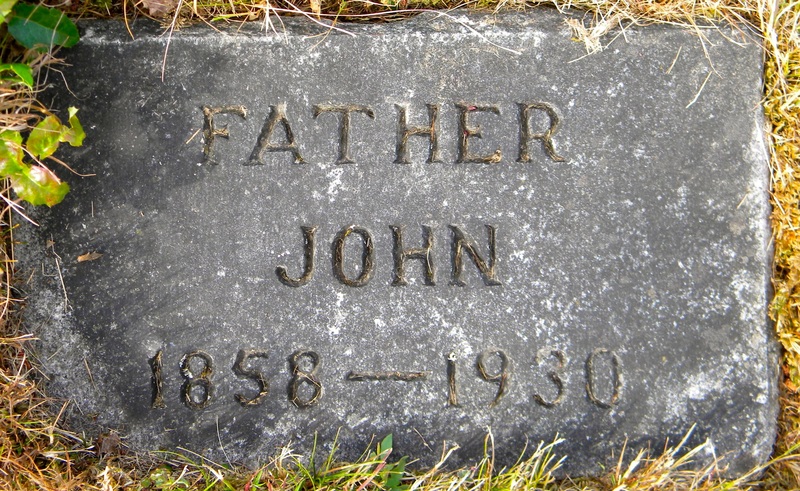 In 1926 the family moved to nearby Pullyup where Johann continued to farm until his death on 26 October 1930 at the age of 72. He was buried in the Roy Cemetery. In the 1940 census, Helene is living alone at 1105 9th Avenue in Puyallup, Washington. 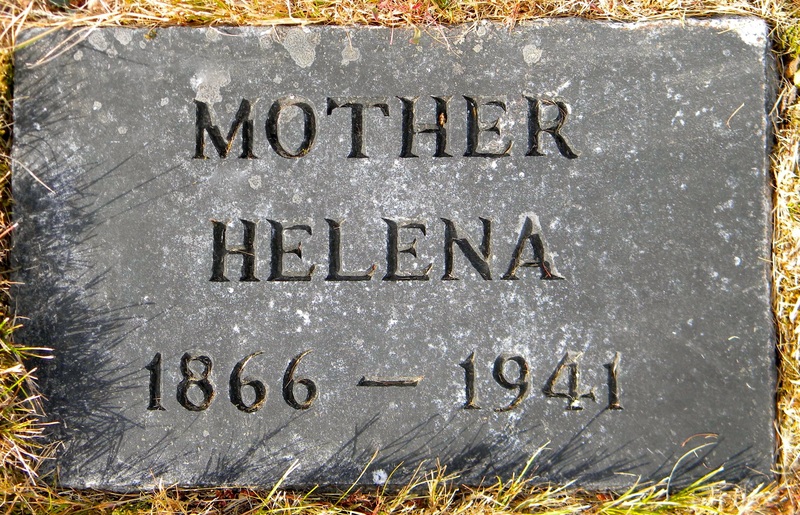 Helene died of liver cancer 11 years later on 26 November 1941 at the home of her son Edwin. She was buried next to her husband in the Roy Cemetery. He sent me an email last week saying he was going to be checking the parish records for Jankendorf, and I told him that my Schulz family was from there. [Wilhelmine Schulz married Friedrich Zierke. They were my 3x great-grandparents. Her brother Martin Schulz lived in Green Lake, Wisconsin then moved to Minnesota.] Fred said he’d take a look for my family in the parish records. Last night I got an email that he’d been quite successful. Marianna nee Radke in the church in Podstolitz. old and Anna Christina Kühl was 25 years old. This gives us the birth years for Martin (1791) and his wife Anna Christina (1815) as well as the names of two of my 5x great-grandparents, Christoph Kühl and Marianna Radke. Confirmation, 1855, Martin Schulz, born 10 Feb 1841. Confirmation, August Fr. W. Schulz, 1858, born 6 Jun 1844. So we have one new brother, two new half-sisters, and a new half-brother for my 3x great-grandmother Wilhelmine Schulz, as well as a first wife for my 4x great-grandfather Martin Schulz. Fenski, Jggs., Wilhelmine Fenski, Jgfr (Jungfrau = unmarried woman). at the age of 23 years from pneumonia. 19 years and 5 months, of Nervenfieber (typhus). We now know that the family didn’t actually live in Jankendorf, but rather in the nearby town of Podstolitz [it is called Podstolice, Poland today]. You can see it in this map. What is very interesting to me is that you can see how close Podstolitz is to Siebenschlößchen, which is the town where the Princeton Zierke family came from. It’s less than 4 miles away. One more piece of evidence that the Princeton Zierke family and my own Zierke family are likely related. 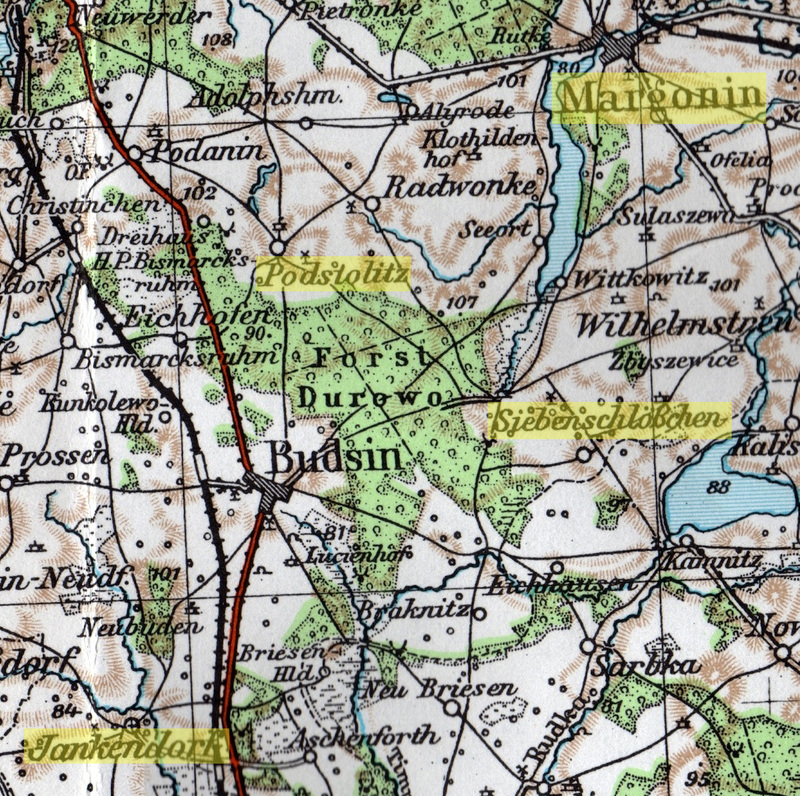 Map of Posen, Prussia showing Podstolitz. 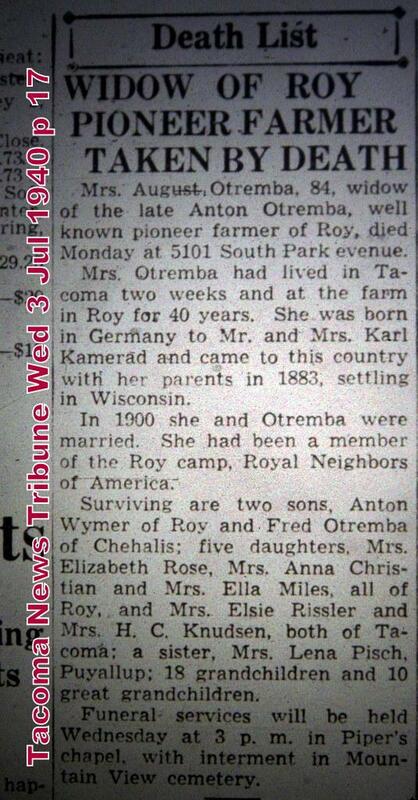 I wanted to collect all the obituaries for the Kamrath family in one place. 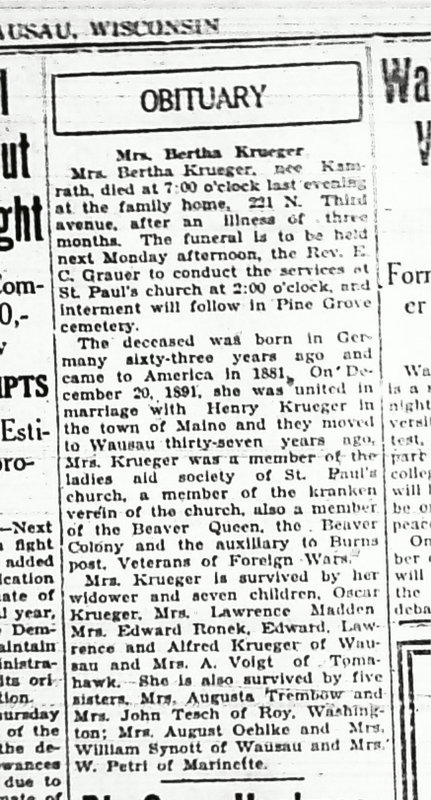 Unfortunately the Wausau paper started publication in 1907, so several of the members won’t have obituaries for this reason. I was recently able to locate the information needed to confirm the truth of an old family legend: the case of our grandfather Wilhlem Schmidt and the Orchard Booby Trap. This case went all the way to the State Supreme Court and eventually to the Governor of the State of Wisconsin. In a strange coincidence, about one week from the writing of this blog will be the 100th anniversary of these events taking place. On August 4th 1913, Wilhelm Schmidt visited his apple orchard and realized that the apples from two of his early trees had been stolen. He had his son Albert post the orchard with placards stating “No Trespassing”, and also put up signs saying that the apples had been poisoned in an attempt to keep thieves out [they had not been poisoned]. About two weeks later he returned to his orchard and found that more of his apples had been stolen. He was, by his own admission, very angry about this. He went home and procured an old Army musket and set it up with a trip wire near a downed portion of the fence surrounding the orchard. He then went to a farm near the orchard and told this neighbor about the gun in the orchard. He told the neighbor to inform anyone in the area to avoid the orchard because it was dangerous. 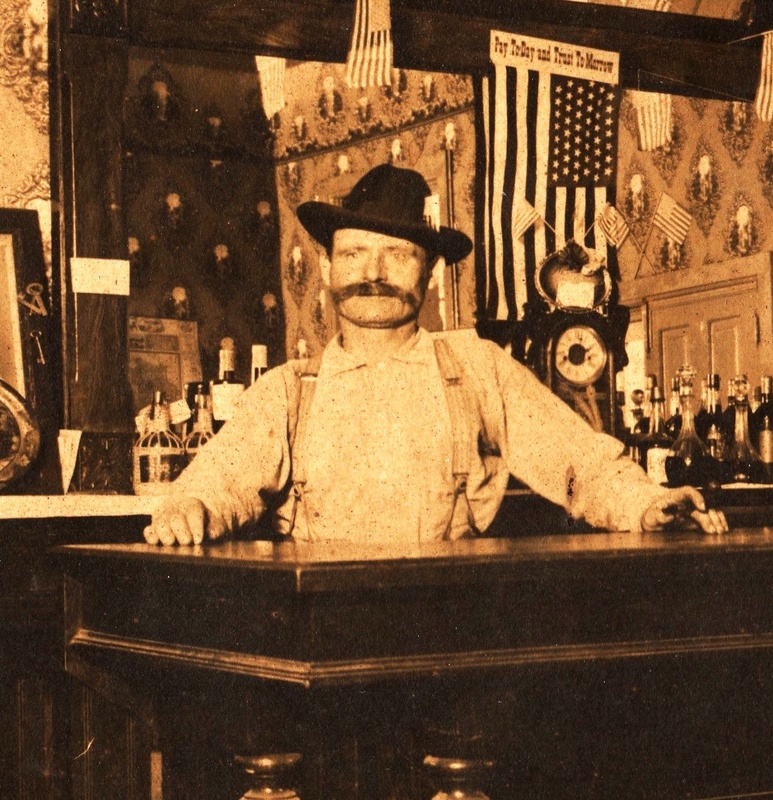 He then went to the saloon he co-owned at the time and told the patrons he had set a gun in his orchard and that they should tell everyone to keep away. 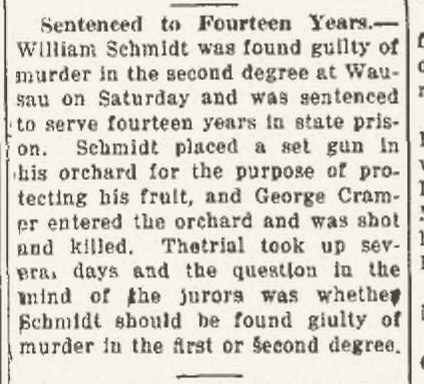 Wilhelm later testified that the shotgun was set up merely to scare any potential apple thieves out of the orchard, not to kill anyone. This claim is reinforced by the fact that the gun was set to fire into the ground, that he had posted signs that the orchard was dangerous, and that he had warned neighbors and other community members about the gun in an attempt to keep people from going in the orchard. Photo of Schmidt family taken the same era the shooting happened. Summer, 1913. Wilhelm is second from right with the mustache. George was taken to Wausau Hospital where he was treated and eventually released to go home. William was charged with “malicious shooting” and freed on bail pending George’s recovery from his wounds. Unfortunately, two-and-a-half months later on November 4th, George died. 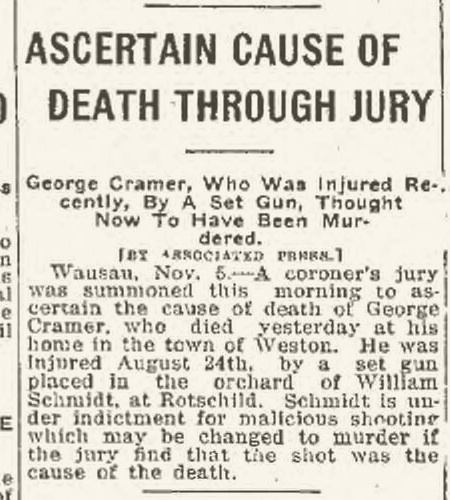 A coroner’s inquest was held to determine if George had died from the shooting wounds or from something else. It was determined that he had died from complications from the shooting. Specifically, some shot had been missed and had likely carried bits of George’s clothing inside his body where it became infected. This infection spread to his blood [sepsis], which eventually caused his death despite last-minute surgery to try to save him. 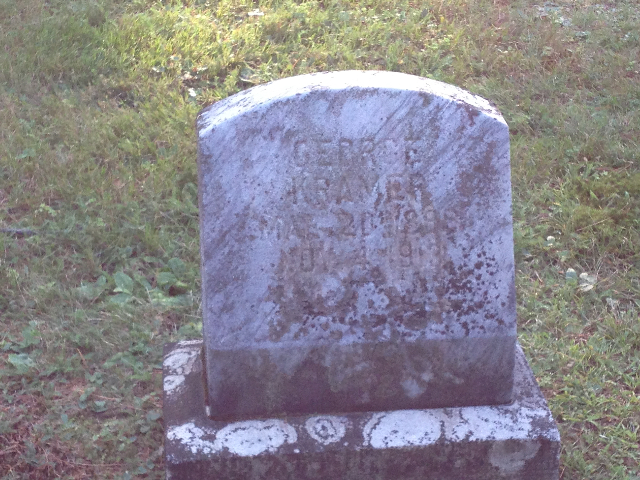 George’s body was returned home to his family and after a funeral ceremony he was buried in Pine Grove Cemetery in Wausau in Plot 20. Following the death, William was brought into court. His “malicious shooting” charge was dropped and he was immediately charged with 1st degree murder on the spot. 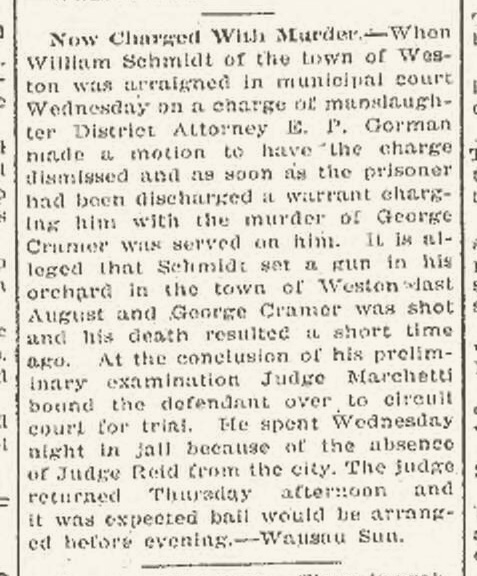 The trial took place in late February of 1914. Scans of the actual articles concerning the trial itself can be found in this blog. William was represented by the law firm of [Neal] Brown, [Louis A.] Pradt, and [Frederick W.] Genrich. [Trivia: Louis Pradt went on to become an assistant-attorney general of the United States under president McKinley.] The jury was instructed to decide between first-degree murder, second-degree murder, or second-degree manslaughter. 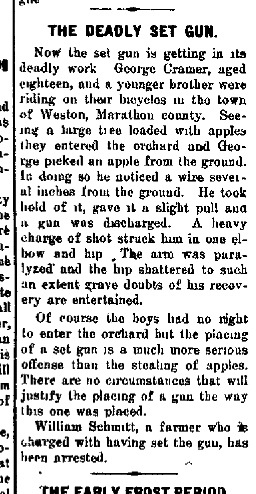 William’s lawyers argued that he had set the gun only with the intent of scaring the boys out of his orchard, not to harm anyone. They also argued that, since George died 2.5 months after the shooting and he had been treated and released by the General Hospital, medical malpractice of some kind had been the main reason he died. On the 28th of February Wilhelm was convicted by the jury of second degree murder and was sentenced to 14 years in the state prison. He arrived in Waupun Prison just five days later on the 5th of March, 1914. He turned over his wedding ring as his only possession, and began his sentence. 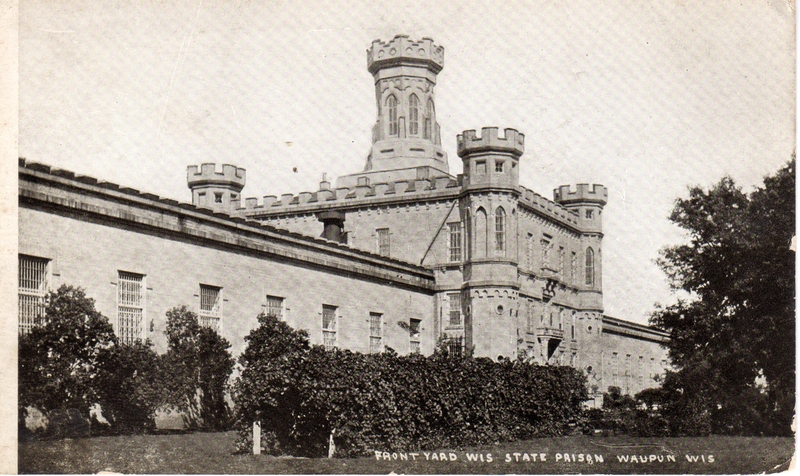 Postcard of Waupun State Prison c 1915, around the time that Wilhelm Schmidt was a prisoner there. 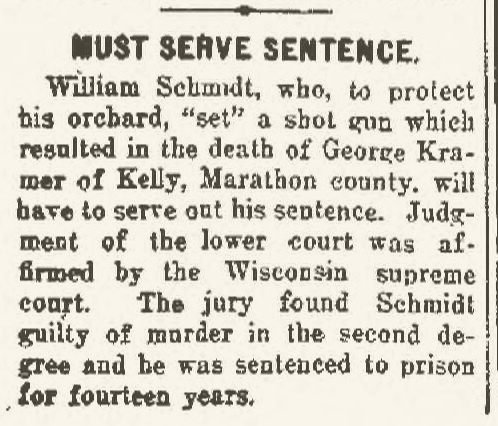 There was a motion for a new trial that was denied in March of 1914. 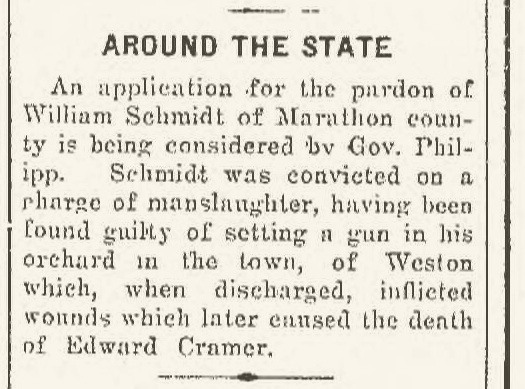 An appeal was then filed stating that the trial should be overturned because of procedural errors, but the State Supreme Court found, in November of 1914 (Schmidt vs State, 159 Wis. 15), that no errors had been made. The sentence was upheld by majority opinion. A motion was made in October of 1915 asking that William be pardoned by governor Emanuel L. Philipp. Wilhelm was eventually paroled on the 2nd of June, 1919, almost five and a half years after he was imprisoned. His final release was effected on July 22nd, 1919. He was finally able to return home to his wife and four sons and try to resume his life. 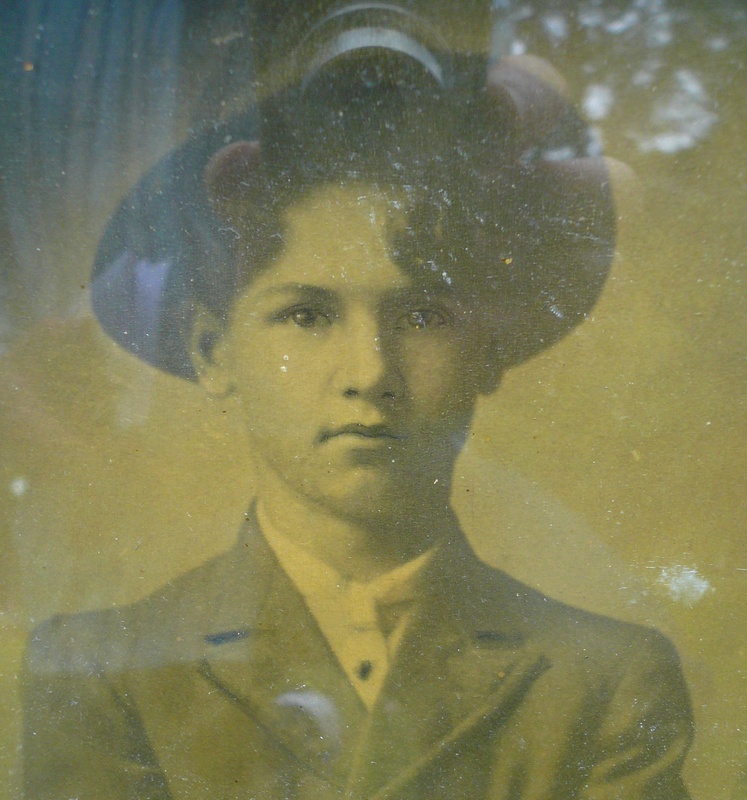 I was shocked to discover that this family legend was true, especially since the details as passed down to me by my grandmother were almost 100% accurate. I had a difficult time processing all the events, thinking about how hard it would have been for my family living in such a small town. All the whispers and gossip, and the things people would have said and thought about my grandfather being imprisoned for the murder of a local boy that everyone probably knew. 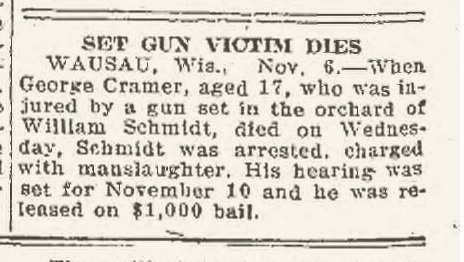 It must have been incredibly hard on all of the Schmidts who were alive at that point. In fact, I feel this explains a lot of things about how my family acted and how “insular” they were in their living situation. I think they circled the wagons and moved on as best they could from that point on. The incident was also, obviously, very hard on my great-great-grandfather. I can’t pretend to know what his thoughts were, but I have a hard time believing that he imagined that a 17-year old boy would be killed by his contraption. As a result, he had to go to Waupun for several years in a time when things were probably pretty grim there. Clearly his health declined since his sentence was commuted to allow him to get medical treatment. He died in 1925 from stomach cancer at the age of only 62. The incident, trial, and prison sentence became only a whispered rumor that not everyone in my family had even known about. 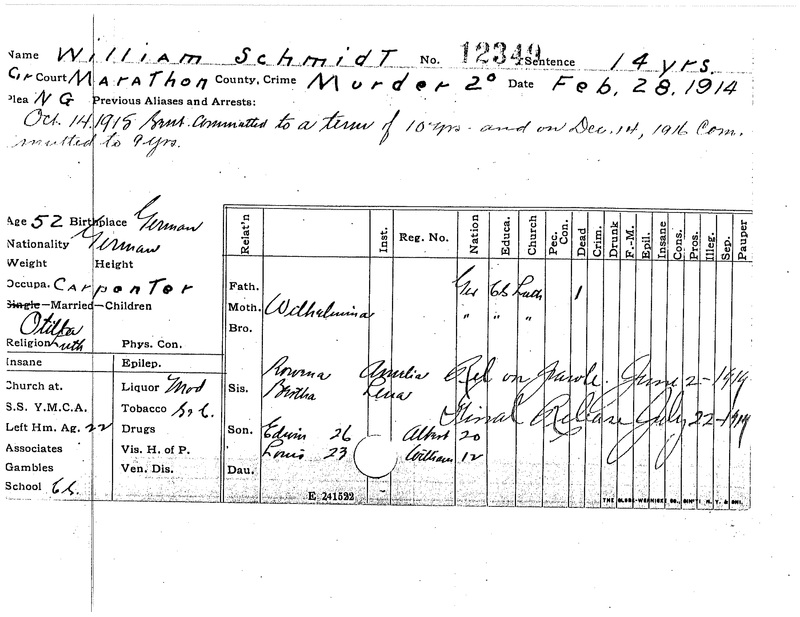 Setting aside my personal feelings, as a genealogist I see a wealth of paths forward here to find even more information about Wilhelm Schmidt. I’m hoping to find more information from the court system, and potentially find notes from his lawyer which might have statements from Wilhelm himself.